I know this post is a bit late, but we have had a lot going on in the last month. So to all of our wonderful friends and family we hope that you had the most wonderful birthday celebrations if they have already past. To those of you with ones yet to come we wish you full filled time with friends and family. We hope you each have a great day and feel blessed to be surrounded by loved ones as you celebrate your gift of life from God! We started off the appointment by getting my vitals and starting my glucose test. I am blessed to say I have not had any blood pressure issues with this or my previous pregnancy. I got to drink some yummy flavored fruit punch stuff and wait an hour for my finger to be pricked. I am extremely happy to report that I passed! Next we were off to have our ultrasound while we were doing the one hour wait for my glucose test. This was wonderful and surprising, and we got to see our healthy, active, and adorable daughter! Throughout the entire ultrasound she was showing us her mobility and flexibility, and was trying to talk to us the entire time. Abigail's little mouth was in constant motion throughout the process. She showed off her stretching and flexing by extending arms, bending legs, and placing her legs over her head! Her smiling face can be seen on the bottom right in this ultrasound picture! So now for the measurements... Abigail is currently 2.9lbs, measuring 29 weeks, ahead in growth by 9 days, and already in the 7oth percentile for growth. Our belly measurement showed her at 30 weeks. What does all of this mean? Abigail will be one beautiful, healthy, tall girl with the capability of being taller than her big sister if her measurements now are any indication of what it will be like with her growing up. Abigail has been ahead in growth throughout the entire pregnancy; even when we had an ultrasound done at 6 weeks she was ahead by three days! We are now doing appointments every 2 weeks until I hit 35 weeks, at which point I will be going weekly to see my doctor. As of now we are keeping the same due date and do not see a need to change it because I have already been scheduled for a c-section. The piece of furniture to the left is a custom made headboard that my father made for me when I turned 10 year old. This will be going into Emma's bedroom so that she can enjoy it for a time. This is the most meaningful piece of furniture that Ray and I own. It means so much more than something that is just passed down because it was mad by Emma's Papaw Housley (my dad). For those that know me and my organizational freaky ways, yes this is driving me crazy and will not look like this after this wonderful three day weekend we are all enjoying. Although we do not have all the organizers we need, we hope to get them at our baby shower for Abigail soon! We are using the same nursery furniture that was purchased for Emma as well as the same theme. We will going with more burgundy and mauve pink accents in this room, rather than the lighter pinks we selected for Emma's room. Abigail should weigh around 2 pounds or a little bit more (like a head of cauliflower) and is about 14 1/2 inches long with her legs extended, yet we know she is a bit longer than this due to her last ultrasound measurements in January. 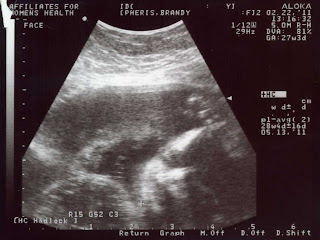 She's sleeping and waking at regular intervals, opening and closing her eyes, and even sucking her fingers, we saw her doing this as well in her ultrasound we had in January. At this stage in the pregnancy Abigail's brain is very active now helping her discover more about her surroundings. Although her lungs are still immature we are blessed to know that her development is a bit ahead of schedule and will quickly have those strong lungs for birth. Not only are the lungs getting stronger every day she is now having hiccups and practicing her breathing like a champ! As for me we will be getting some belly measurements, weight check, blood sugar testing, extensive ultrasound for development, as well as an evaluation by the doctor this coming week. We are excited about seeing Abigail on the ultrasound again and hope for some super cute pictures to be able to post for all to see. I still have a bit of nausea and have now started experiencing muscle cramps in my legs at night. I also have had more intense braxton hicks from time to time, this caused Ray and I to take a trip to the doctor this past week to be evaluated, examined, and monitored for 5 hours to make sure all was well. With the scare we experienced in January we are blessed to have a doctor who takes even the slightest sign as something to thoroughly check out to be preventative and extend our little girls baking time. We continue to celebrate and give thanks to God for being blessed with our second little girl. We would also like to thank our family and friends for helping us with the celebrating and support they have given us. I want to share with others what I give thanks to God for, as well as inspire others to give thanks for what they have. being able to say that I will be 27 weeks pregnant tomorrow. having a loving and supportive husband. a daughter who blesses us and showers us with love every day she says Dada and Momma. Ray and I both being fully employed during an uncertain time in our nation's economy. having a warm and comfortable home for my family. a dog who drives me crazy more times than I can count lately. a loving and supportive extended family. friends who I can count on and who are very supportive and understanding of what my family has been going through with our pregnancy. a doctor who has the guidance, knowledge, experience, and spirituality to guide us through this pregnancy. knowing that no matter what the situation is that I find my faith to see me through. the guidance and grace of God! Wishing a day filled with fun, laughter, and love to all of my family and friends. To my niece Shanna I wish you the most amazing birthday you could ever hope for! To the people that I hold dearest to my heart, I Love you Abigail, Emma, and Ray!! Two more weeks left in my second trimester! We feel so excited and blessed to be this far after all the issues we experienced in January. I am getting sleepy again in this stage of pregnancy, something that did not happen with Emma. So I really enjoy taking those weekend naps with Emma for 2 hours, they help me get through the rest of my day. I do seem to final getting some energy back but it is in spurts, but when they hit I am able to accomplish many chores and tasks around the house. I am still experiencing Braxton Hicks contractions, a bit of lower back pain, and sleep is not always the best quality. The wonderful things that we are experiencing and giving thanks for is that Abigail continues to grow, move, and make her presence known. Emma enjoys patting the belly saying "baby, Abby, sister" or a combination of the words together. Ray makes sure to talk to Abigail on a daily basis. 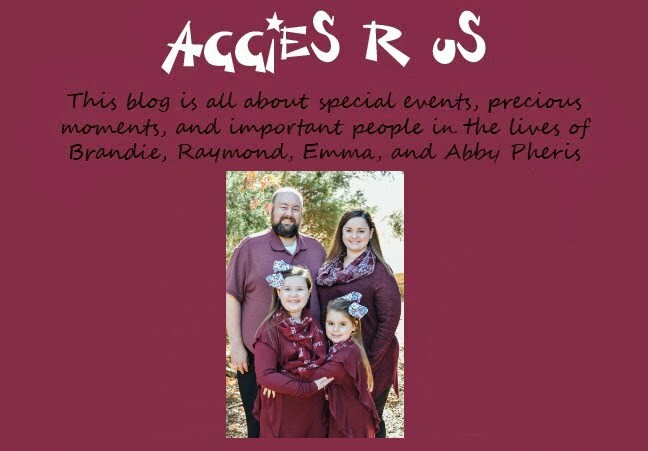 He will share sports reports on the Aggies, talk to her about his day, ask her about her day, and give himself that time to create that bond between himself and his daughter. Emma is still her Daddy's assistant when we listen to the heartbeat. She feels included and face lights up with a bright smile every time she helps her Daddy. Abigail during this week will measure a bit more than 10 inches from crown to rump. She will be weighing in at around 2 pounds and at this stage her development will be steady and she will start to open and close her eyes this week! Also during this week her heart is pumping more blood into her body, her lungs are getting stronger, and she will continue to practice her breathing for her big day to come in May. At this stage at home we are getting ready to have our carpets cleaned so that we can have them disinfected and treated before we start preparing her nursery. We have started to sort some items and divide others between Emma and Abby. We have also completed our registration at the hospital, filled paper work, and gather other paper work for they CryoCell blood cord procedure that we will have done when Abby is born. We have also already scheduled her baptism for August and are now searching for the right dress. Things that we continue to look forward are the next appointment where we get to see Abigail on the ultrasound and see how much she has grown in the last month. 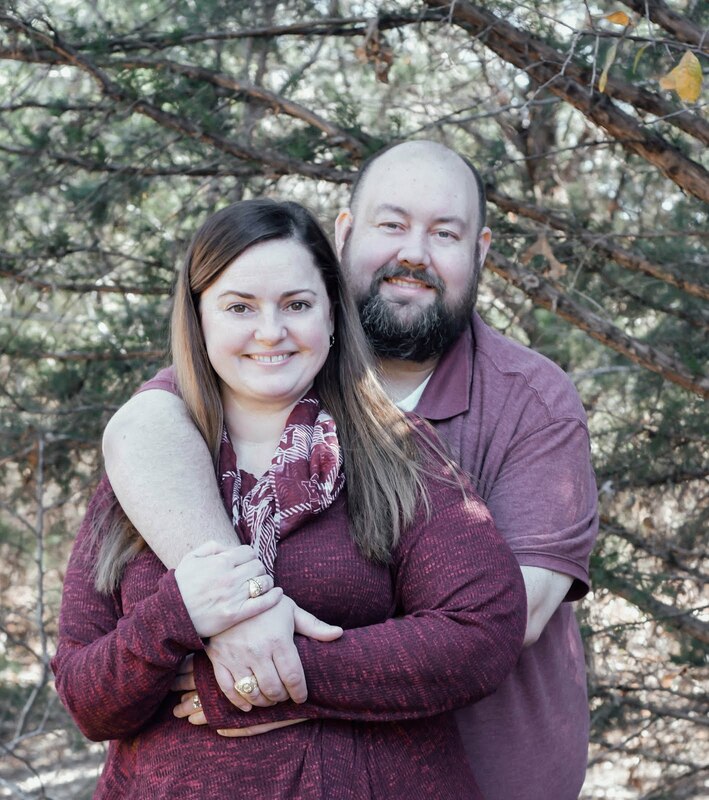 We also are looking forward to some formal pictures that we will take as a family and other little special things that we will do or purchase to help celebrate the coming of our new little girl in May. As you can see Emma has inherited her parents love of sweets. She really loves chocolate : ) We usually can just share whatever it is that we have with her, but on this night she wanted her own, plus a little of ours. I must admit she got more on her clothing, highchair, and in her hair than she actually got in her tummy. But we all enjoyed watching her have fun with her first chocolate push pop! Abigail is approximately 1.5 pounds or closer to 2 pounds by now. She is about 13.7 inches long or a bit longer. All articles that you read and doctors tell you that from this point on your own baby's weight and length may vary somewhat. Due to the fact that Ray is a very tall guy and I have taller sisters and aunts than me it is not surprising that we will have another tall daughter. As of now we believe that Abigail will be on track to weigh in at around the same weight as Emma of 7 pounds 15 ounces. We do think that Abigail might be a bit longer than Emma was when she was born. During this week in my pregnancy the structures of Abigail's spine are starting to form, including 33 vertebrae (rings of bone), 150 joints, and 1,000 ligaments. Her capillaries are also forming this week, capillaries are the tiny blood vessels that move blood from the heart to tissues in the body. By the end of week 25, air sacs and blood vessels in Abigail's lungs will develop as well as her nostrils opening up for breathing, getting her ready for her first breath. So I expect to start feeling her hiccups anytime now showing me that she is practicing her breathing for her big day! Abigail seems to already be on her own sleep schedule with being awake and moving every 4 hours. I have been really watching and tracking her movements over the last couple of days. During this time in a pregnancy doctors start asking you to keep track of the baby's movements. Ray says that she is on his schedule already! With his work he does 12 hour shifts, but they can be broken into 4 hours slots. So for an example Abigail is awake at 3 a.m., 7 a.m., 11 a.m., 3 p.m., 7 p.m., and 11 p.m. It does not make sleeping easy, but I really do enjoy feeling her move. Abigail tends to get really moving at the sound of her Daddy's voice and when he touches the belly! Abigail still does not approve of the Doppler that we or the doctors use to listen to her heartbeat. She tends to move and play hide-and-seek or she will push it or kick it to try and get it to go away. We went to the doctor yesterday and got another great report. Abigail is doing great! She is healthy, active, and still a Little Wiggle Worm : ) Mommy also got a good report. I still need to take it easy, not do any lifting or carry around heavy objects. I have been told to make sure to say hydrated and try to rest often. But that is to be expected as you enter into your 3rd trimester! Everything that is going on now and the precautions the doctors tell us to take are normal and nothing extra to be concerned about. I still have Braxton Hicks contractions, but there is no regularity to them, nor do they last for long periods of time. Due to this fabulous report of us both being healthy we now get to have our appointments moved from every week to every two weeks! I am so very excited about this. Our next appointment will include the sugar test, measurements, ultrasound, and more details on how Abigail is doing and developing. We look forward to celebrating each weekly milestone and planning her baby showers with friends and family! Emma staying warm as Jack Frost comes to visit the area for the next couple of days. Flag pole with the missing Valentine's day flag. Went looking for it and can't find it yet. Trash cans are all over the place. We heard it hit the garage door last night, luckily there is no damage to the car that I can tell. The fence is down and now we hope the neighbors do the right thing and get it fixed since it is theirs and not ours. We will see what happens in the next couple of days. February brought with it some of the coldest weather that my area has seen in a long time. Ray and I were talking about winter and only in Texas can it be in the 70's in December and now in the teens in February. It is currently 28 degrees and the low tonight is supposed to be 17 degrees. With Emma being sick she has been in bed with me in the master bedroom and Ray has been sleeping in her room. This gives me such a smile, thinking of my husband sleeping in his little girl's toddler room with flowers and butterflies : ) At 4:30 this morning when all of the strong bursts of wind came through it woke both Ray and I and we met at the front door listening to things hit the house and the eerie sounds coming from the chimney. We hurried outside to take down our Valentine's decorations and bring them in. It took me an hour to get back to sleep with all the noise the fence was making hitting the side of the house. Upon waking this morning I looked out the back door to see portions of my fence down, neighbors' fences are down, shingles are missing from peoples' roofs, and the one decoration we forgot to take down, the Valentine's day flag, is nowhere to be found. Our trash can is on its side with debris everywhere. So the cleanup will begin and phone calls will be made. Now to stay warm and keep an eye on the weather since we are expecting SNOW this coming Friday.